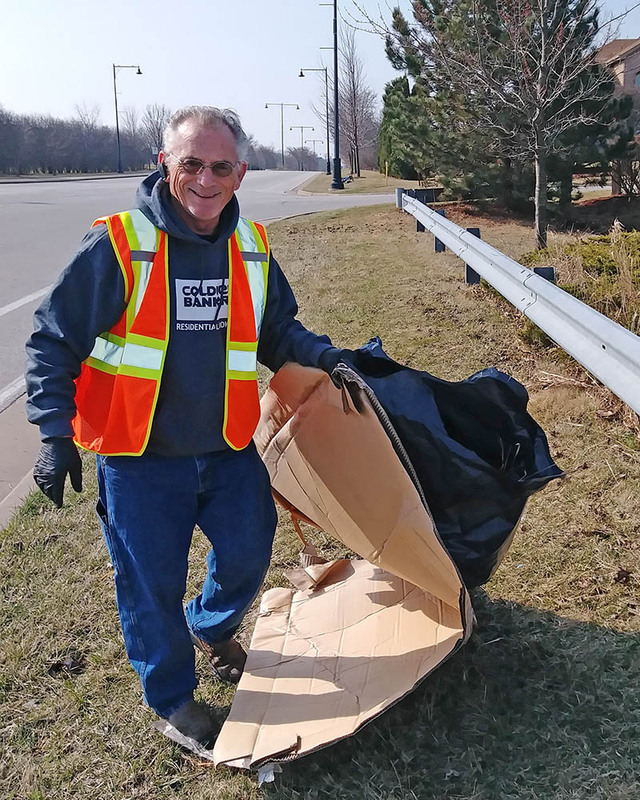 George Chandler of Olympia Fields hauls in the biggest litter catch of the day on Kedzie Avenue during Community Cleanup Day. 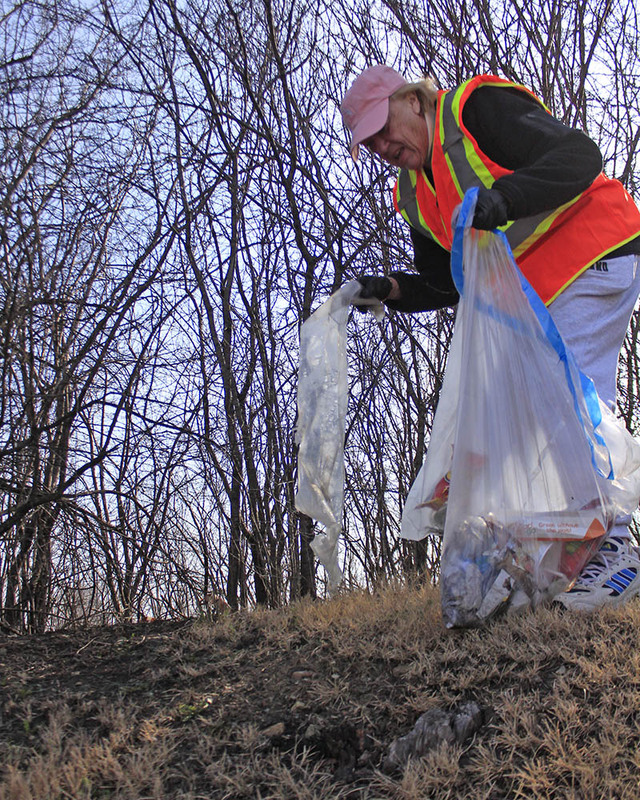 Susan Gowen of Olympia Fields bags some litter on the east side of Kedzie Avenue on Saturday. The enemy. 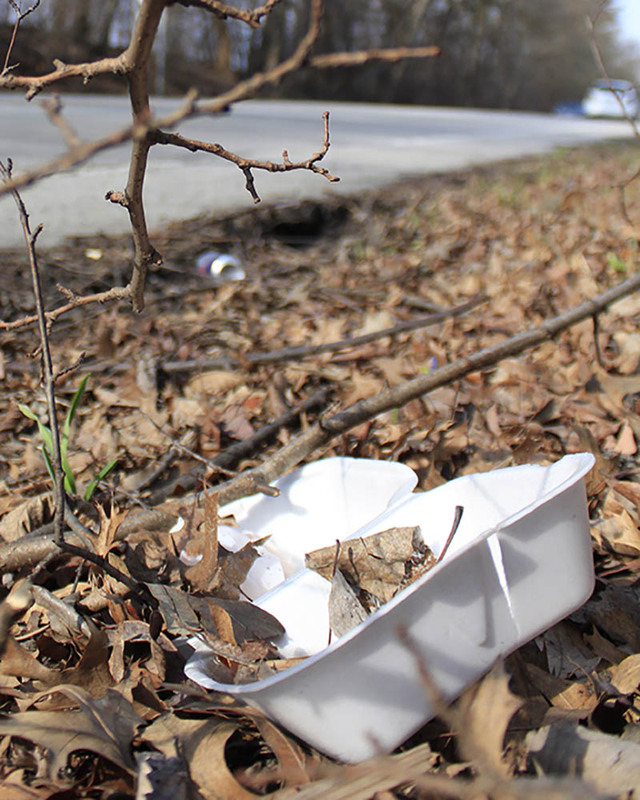 This food container and beverage can were tossed along side Vollmer Road just west of Irons Oaks Environment Learning Center. 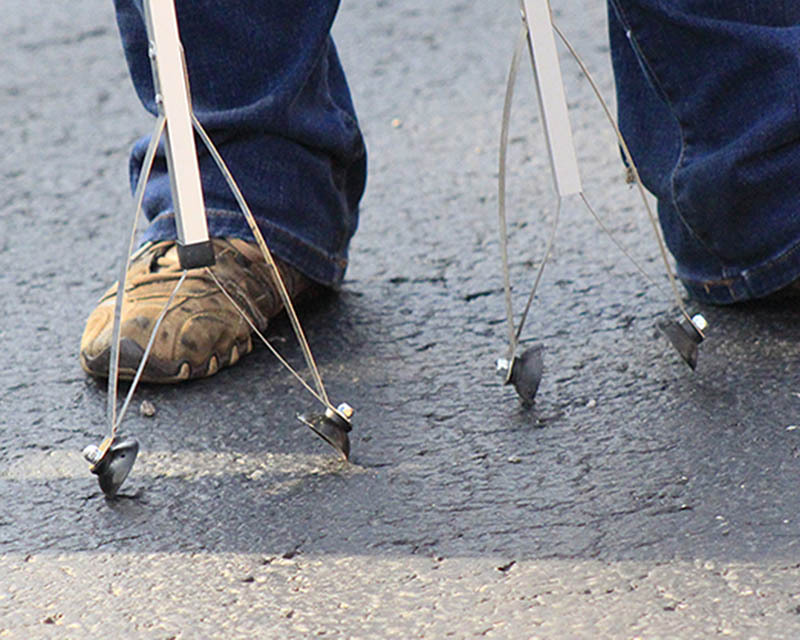 The right tool for the job. 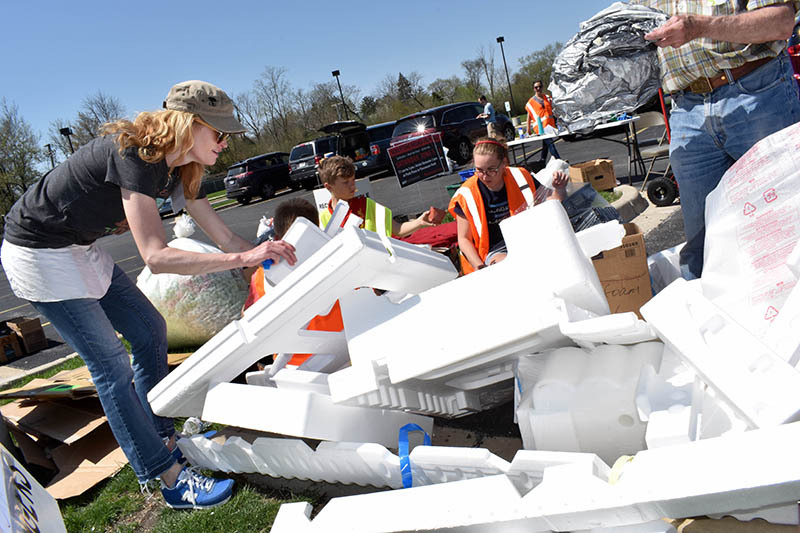 Laura Konrath prepares to attack litter at Irons Oaks with these pickers. 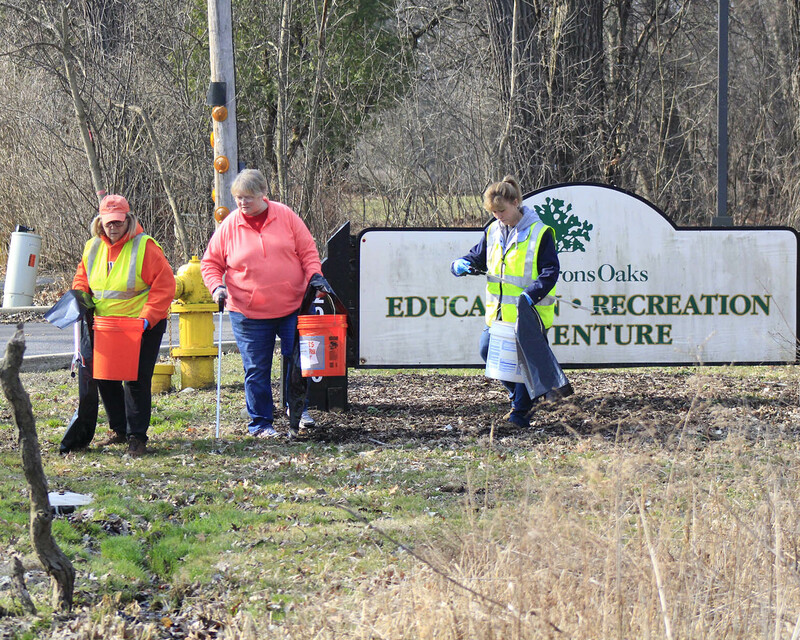 From left, Yoka Ward, Cheryl Vargo and Laura Konrath begin clearing litter from the edge of Western Avenue at Irons Oaks. 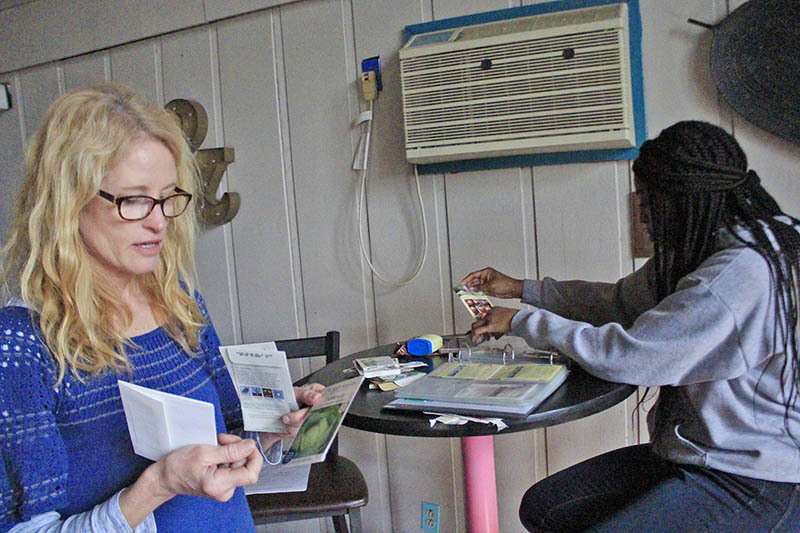 Carrie Malfeo, left, explains how the Flossmoor Seed Library works while volunteer Sammari Meeks files seed packets in the library's catalog. 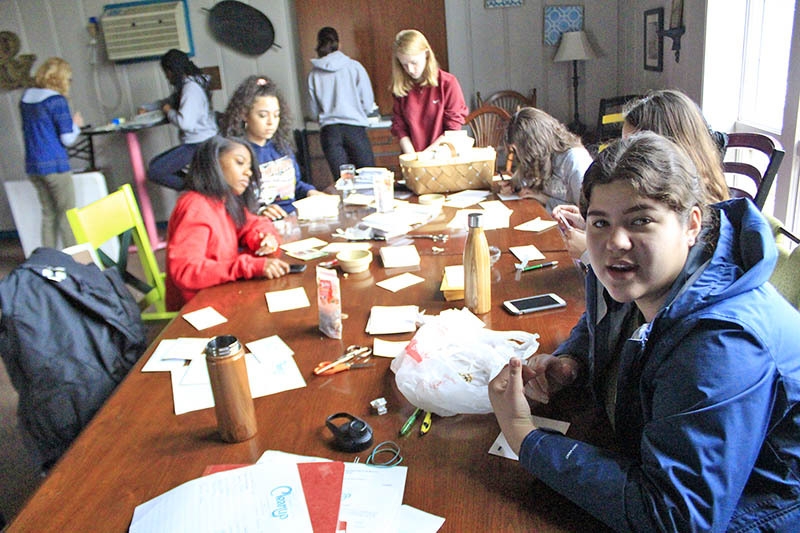 Jasmine Sahagun, right, writes information on a seed packet. 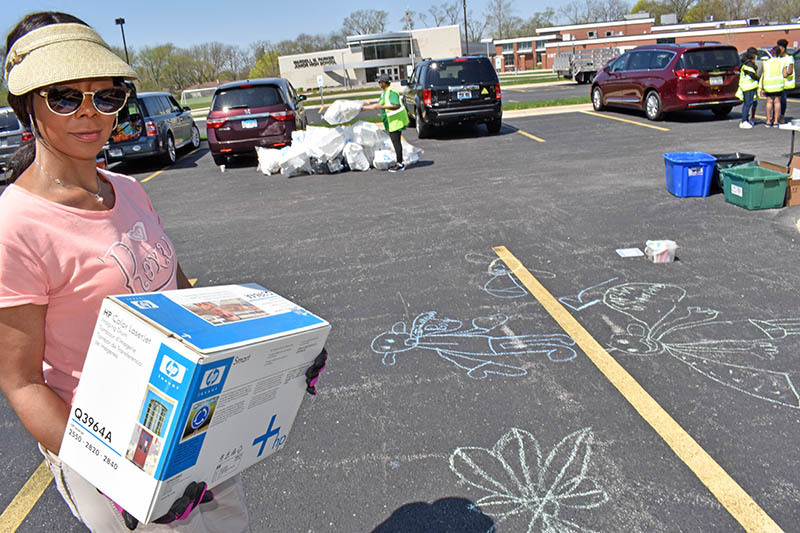 She and eight other H-F High students helped repackage seeds during Community Cleanup Day. 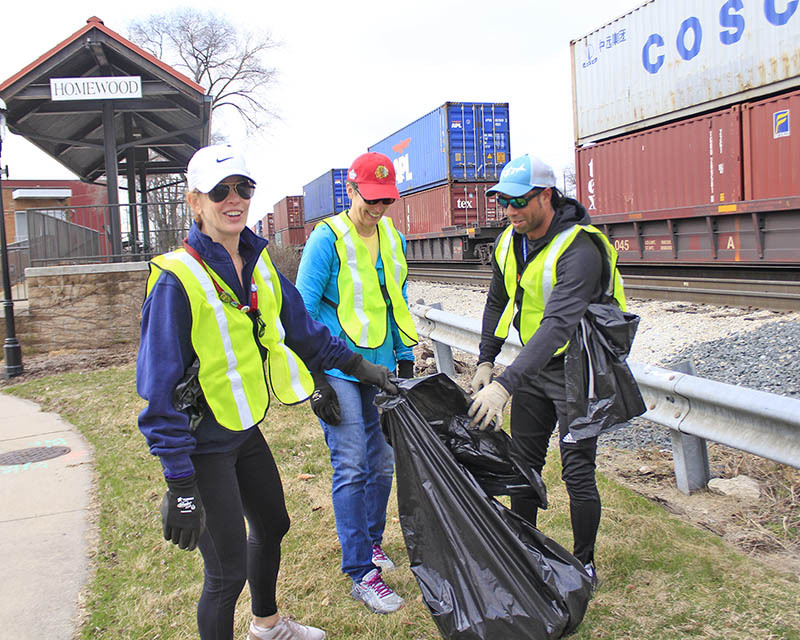 Camson Addenuga helps clean up the area between Harwood Avenue and the railroad tracks in downtown Homewood during Community Cleanup Day. 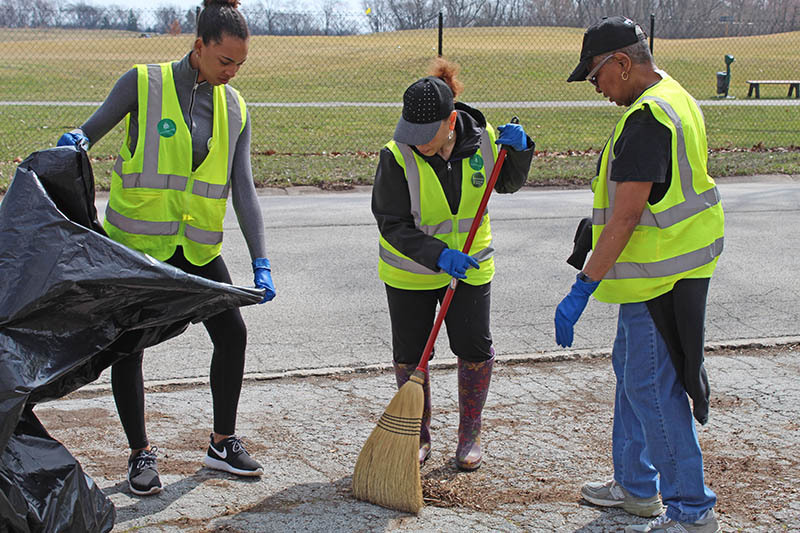 The Harwood Avenue cleanup crew, from left, are Allisa Opyd, Janet Hernandez and Camson Addenuga. 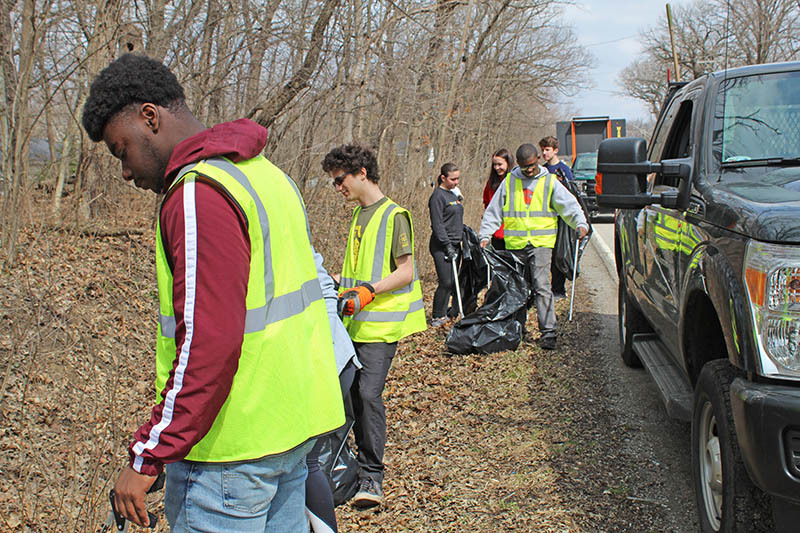 [Updated April 14, 2019] Litter — the enemy of any clean community — has accumulated during winter months, but local residents fought back on Community Cleanup Day on Saturday, April 6. 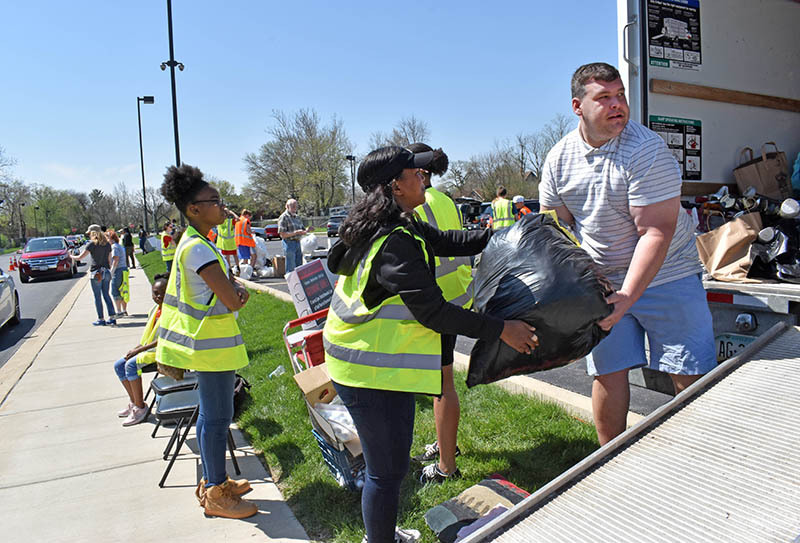 On this sunny, warm spring day, eight organizations and dozens of volunteers fanned out across Homewood, Flossmoor and Olympia Fields to spruce up the area picking up the discarded bottles, cans, food containers and even used diapers that have piled up along roadways over the winter months. Oak Meadow Energy LLC has notified Glenwood officials that it will no longer pursue the development of a controversial electricity generating plant in the village. 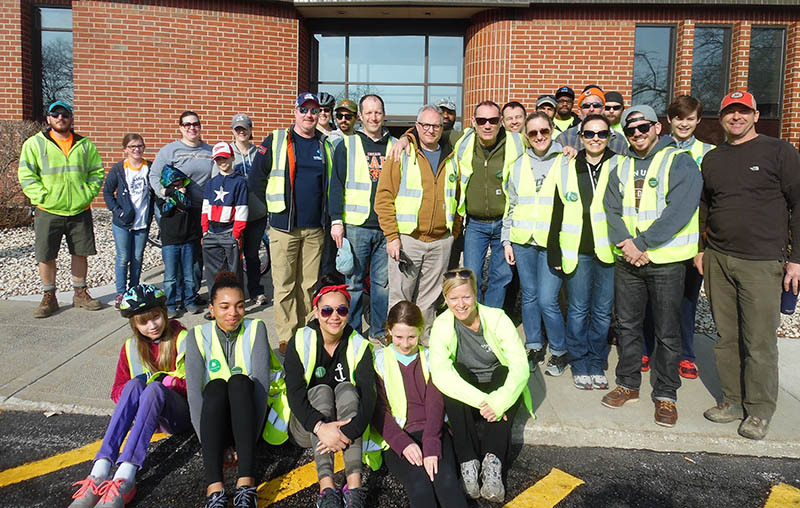 In a letter dated Wednesday, March 27, addressed to Glenwood residents, Mayor Ronald Gardiner announced Oak Meadow's decision and provided a brief history of the project. Oak Meadow Energy LLC of Boston has proposed building and operating a 1,250 megawatt electricity generating plant on 75 acres of land on the southeast corner of Glenwood. Residents opposing a proposed gas-fired power plant packed a Glenwood Zoning Board of Appeals meeting Tuesday, and while they did not stop the plant's zoning application, they slowed the process. If your celebration of the holidays is over, don’t forget to recycle. Irons Oaks Environmental Learning Center is the location for dropping off discarded live Christmas trees. Trees must be free of all ornaments, lights, wire and tinsel. 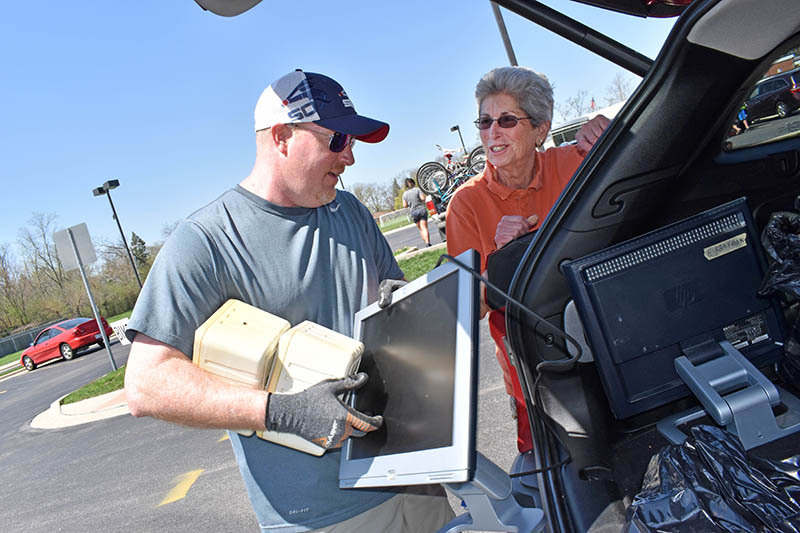 The collections continue through Jan. 18 at the Irons Oaks parking lot on Vollmer Road just west of Western Avenue. 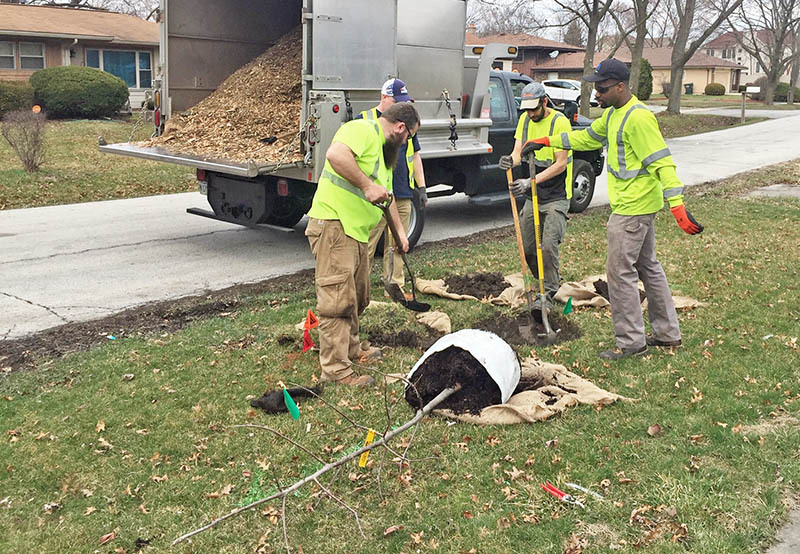 The Flossmoor Hills Green Team was excited about helping plant an Illinois pecan that is expected to produce nuts in another 10 years or so. 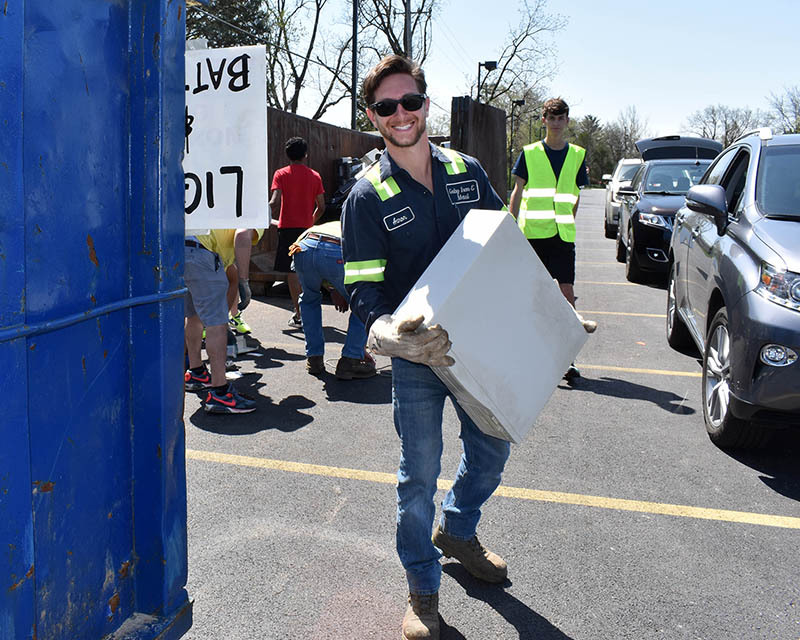 It was part of the school's Arbor Day observance.